Coolpad has recently launched the latest big screen, manageable smartphone at the most affordable and competitive price i.e. it is available only for Rs. 6999, with all the features of an Android smartphone. But, its availability is limited only to Amazon.in at the present. The first flash sale of the smartphone shall begin at 2 PM on August 24 at Amazon India and with registrations for the same are open now at Amazon.in. Displaying a wide range of designs without compromising on quality, the plastic body of the phone gives an elite and elegant look. To add on to the physical appearance, the phone has a soft matte finish, with curved back design and flat edges. Weighing around just 140g (Moto G4 Plus weighs 155g and the Xiaomi Redmi Note 3 tips the scales at 164g) it has created a history of being the lightest cheapest big screen phones. Other features include a great camera, volume, and power on different sides of the phone (done to avoid any accidental press on the power button instead of volume button while talking to someone on the phone) and unique side panel for micro SD card and SIM. 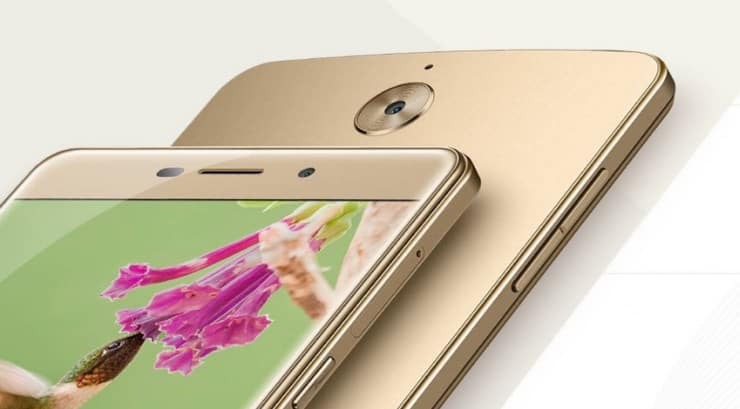 It has a display screen of 5.5-inch with some oleophobic coating on the screen. This gives it a clearer and cleaner screen in comparison to other high-end phones. Though one can experience some roughness, it functions perfectly in bright light despite having a resolution of 1,280p x 720p. The colors look gorgeous on the phone. Thus, you look beautiful in your pictures when you view them on this screen. This phone uses the latest and upgraded version of Android that is Android 6.0 Marshmallow making it the limited edition phone. Coolpad has its own UI with the coolest interface. Though not easy to operate like the ones in other Android phones but definitely gives the user ability to change the way it looks. Along with this, the phone even doesn’t have many applications and therefore gives the user freedom to use the space in whichever way he wants unlike in other Android sets. It gives the user an added advantage in the form of a search tab on the home screen (which automatically comes when scrolled) where the user can search almost anything from any application to contact number or even any photo. Huawei’s Honor smartphones have the same feature, and this raises the phones credibility to another level. It has been regarded as a phone with an excellent performance which can efficiently perform the mainstream functions. The Coolpad Mega 2.5d has a 3GB RAM. This means the faster opening of all the applications on the phone and yes no hanging! Along with this, it has an octacore processor and is supported by a MediaTek MT6735P. Routine functions like social networking, web browsing, movie playback and YouTube videos are carried out quite well, yet it is even capable of performing the heavy tasks as the other handsets can perform. Though it may turn a little unresponsive while playing graphic intensive games like FIFA 16 or Asphalt 8, the battery doesn’t heat up. It offers its clients a 16GB memory that can be stretched up to 32GB with the help of microSD. For the Hotstar and YouTube freaks, there is good news that this smartphone supports 4G network. It has a good battery of 2,500mAh back-up that can last a day if not used extensively. Hence, the overall rating is above good, and the phone has carved a niche in this era of cut throat competition due to more qualities and fewer cost features. Overall, a great phone with all the required features and yet at very competitive pricing. If you have been thinking of changing your phone for a while or need to gift someone dearest; this phone is totally worth it! You can register on Amazon.in to grab this smartphone. Explained: What Is Internet Of Things (IoT)? Why LED Bulbs Are Good For Our Future & Environment?